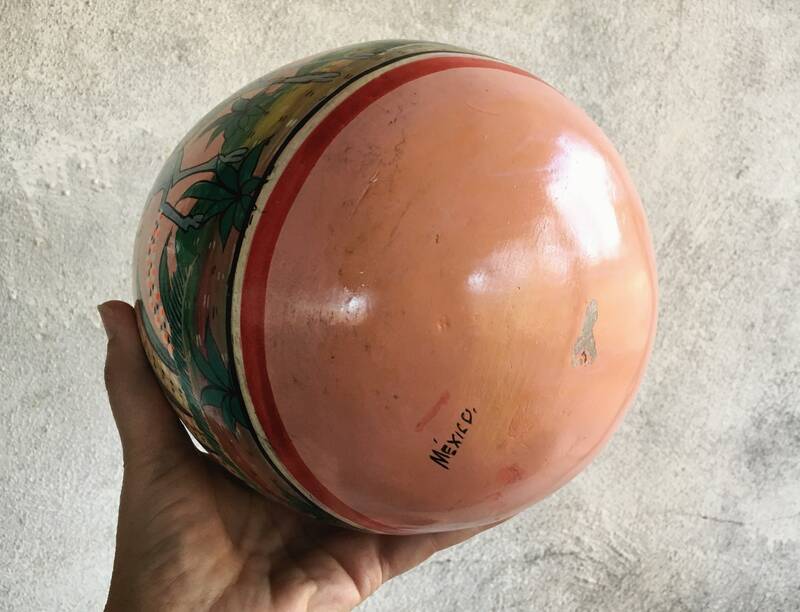 Here we have an absolutely amazing and rare giant pottery egg and stand, from Tlaquepaque, in the style of master potter Jose Luis Cortez Hernandez. 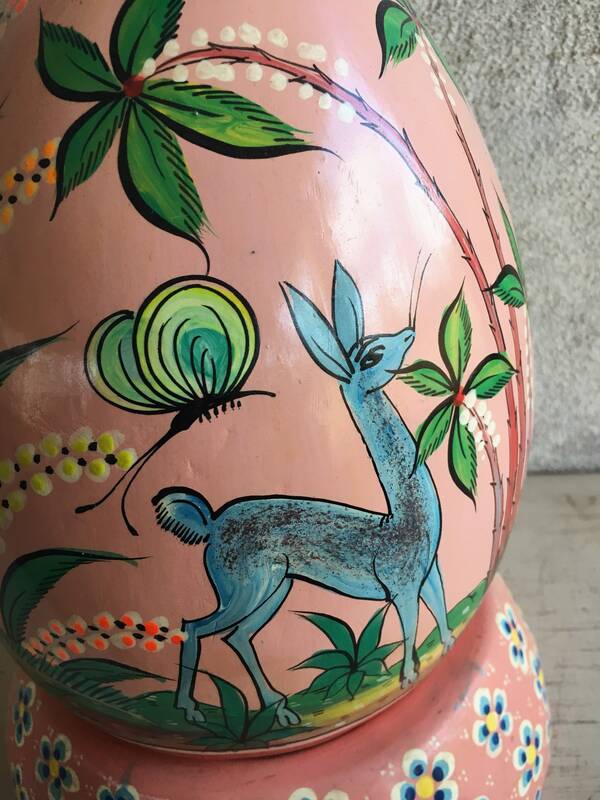 This particular design, with woodland animals and curved floral elements is called "Fantasia" for the fantasy way in which it is rendered. 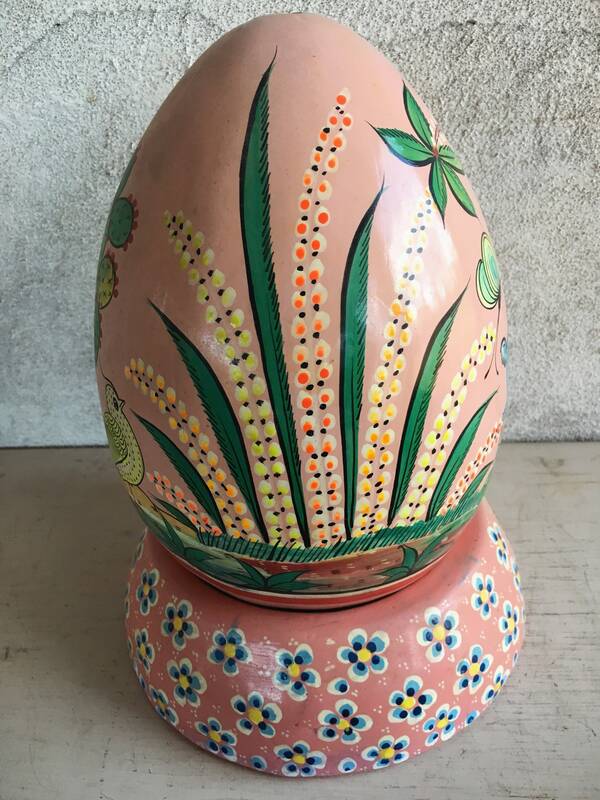 This egg and another one that I purchased at an old New Mexico estate were said to be bought in the 1960s to 70s during a family trip to Guadalajara and to the artist markets of Tonala and Tlaquepaque. 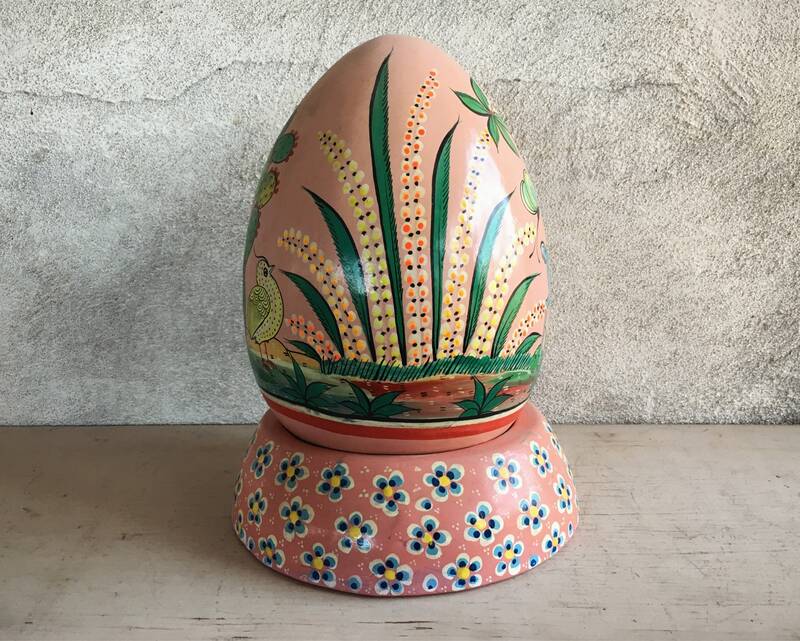 The two eggs--this and the other--were painstaking carried back to New Mexico and brought out each Easter as the primary decor in an old adobe hacienda. 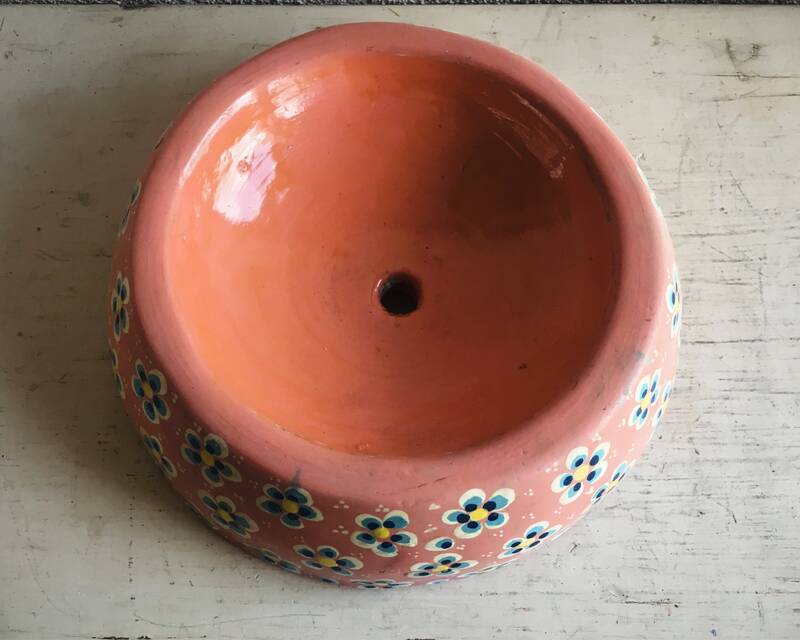 I collect a lot of old Mexican pottery from Tlaquepaque and Tonala, including large pieces that I have carried back--and so I can appreciate the excitement of having something so beautiful and unique. 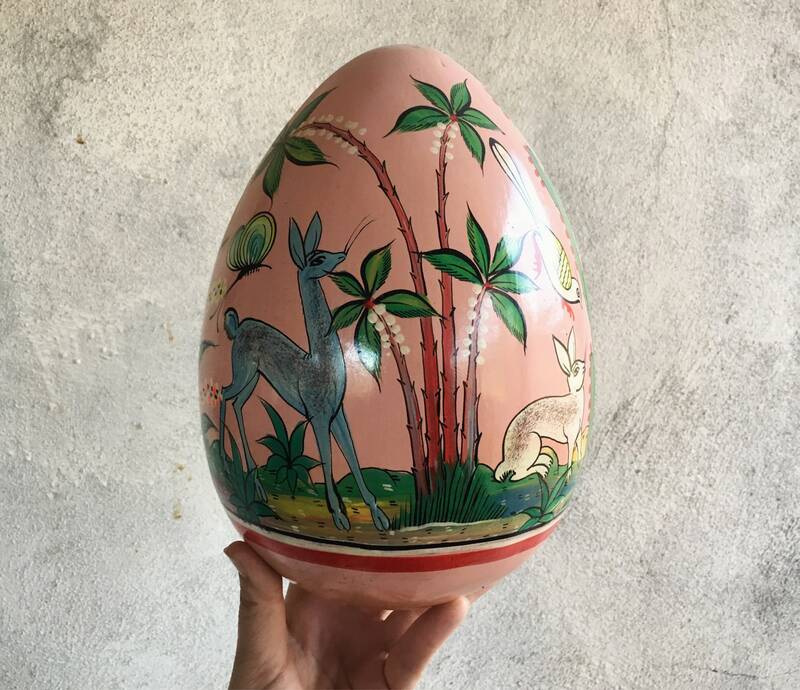 I have been unable to find anything like these eggs, and I wish now that I would have asked if they were made specifically for this family, as it was not uncommon to ask master artists, who were working in their studios, to create custom pieces for you. 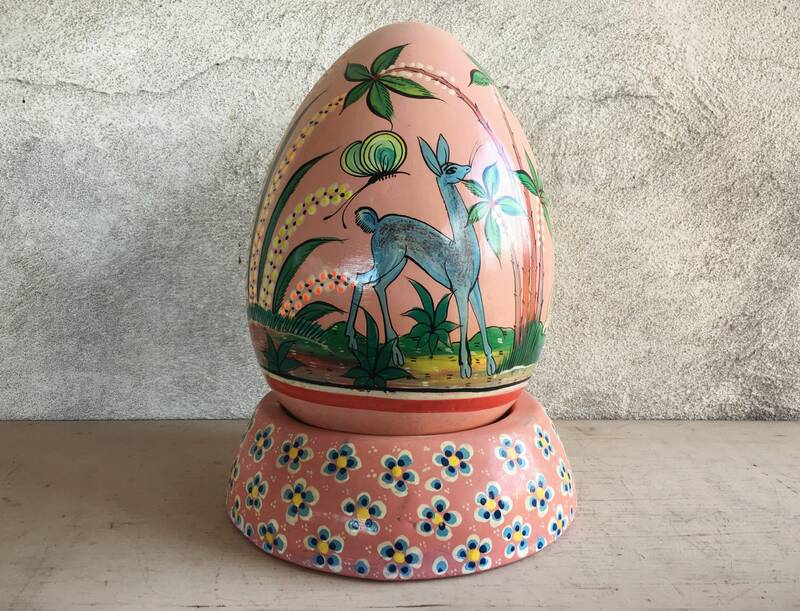 The egg on stand measures about 10" tall and the stand diameter is about 8". 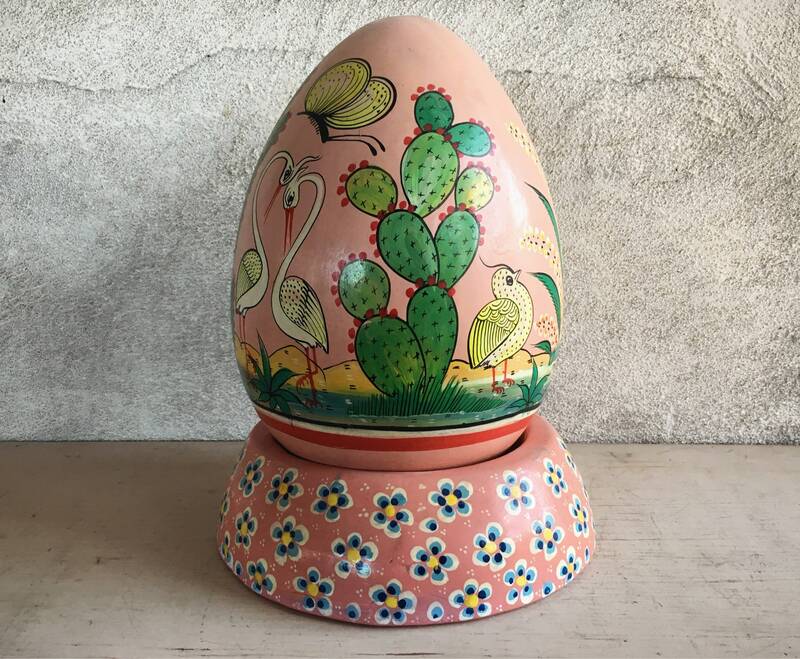 Base is about 2-1/4" with a concave top, and so the egg itself is close to 8" tall. 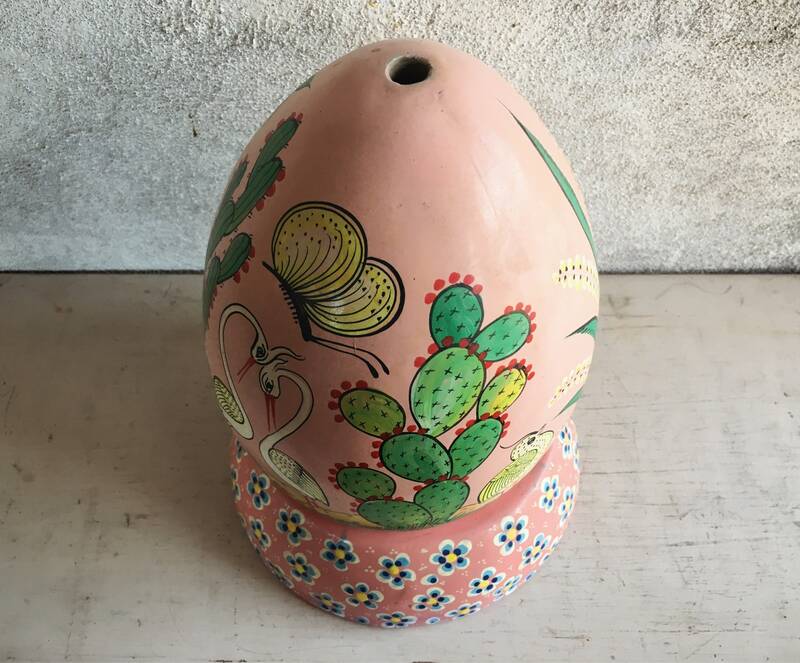 The egg has a hole at the top and inside the egg is the plug that would have been pushed in from the top, which you can hear rattling around if you pick up the egg and gently shake it. Signed MEXICO on the bottom of the egg. There may be small fleabites, yet no major cracks and in good vintage condition. Weighs close to five pounds unpacked, and will be double boxed, which accounts for the high shipping cost. 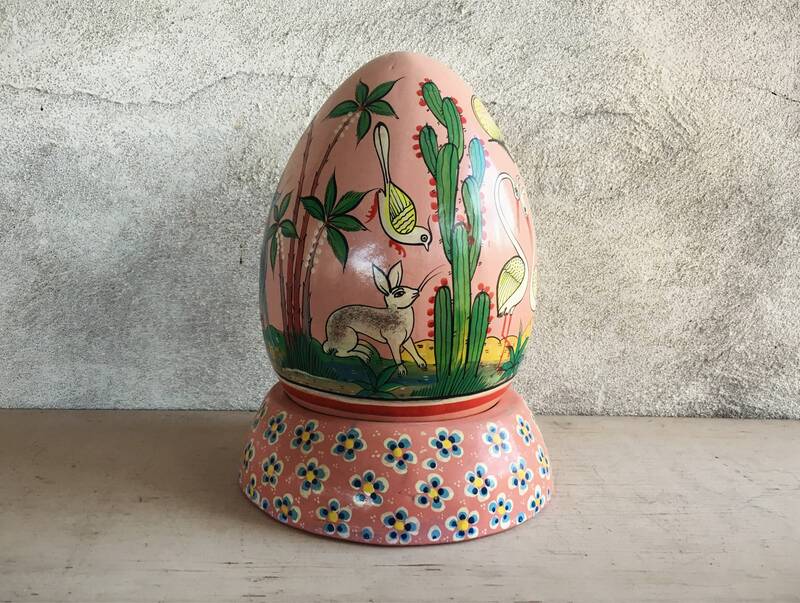 Truly one of a kind Easter decoration or any time decoration for your casa.